Nadzeya Ostapchuk, women’s shot put Olympic gold medalist, has been stripped of her title after failing a doping test, the International Olympic Committee has announced. 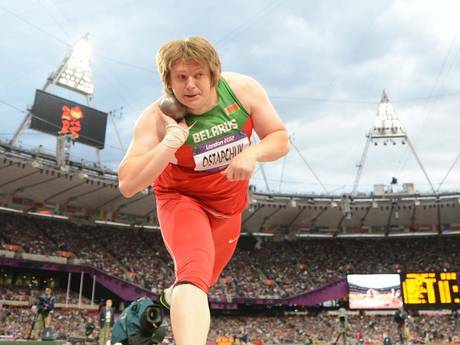 Belarusian Nadzeya Ostapchuk, 31, threw 21.36 m with her third attempt to win in the Olympic Stadium last week. But Nadzeya Ostapchuk has now been disqualified after officials said metenolone was found in a urine sample she provided. New Zealand’s Valerie Adams, who was second, has now been awarded gold. An IOC statement said: “The athlete was first requested to provide a urine sample for a doping control on 5 August. “She competed the next day in the women’s shot put event, where she placed first, and was asked to provide a sample straight after her competition. Nadzeya Ostapchuk won gold at the 2010 European Championships, but was second to Adams at the 2011 World Championships. London 2012 saw the biggest anti-doping operation in the history of the Olympic Games. Before the start of the Olympics, those competing were warned that 150 scientists were set to take 6,000 samples between now and the end of the Paralympic Games. Every competitor who won a medal at the Olympics was tested. British discus thrower Brett Morse apologized to his Twitter followers after accusing Nadzeya Ostapchuk of doping last week.